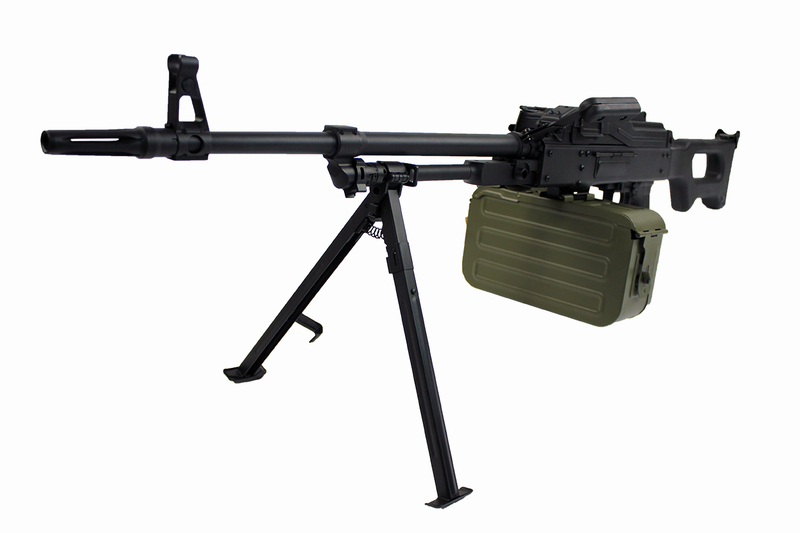 The long awaited model of the universal PKM machinegun made by the A&K company was made of steel and aluminum. 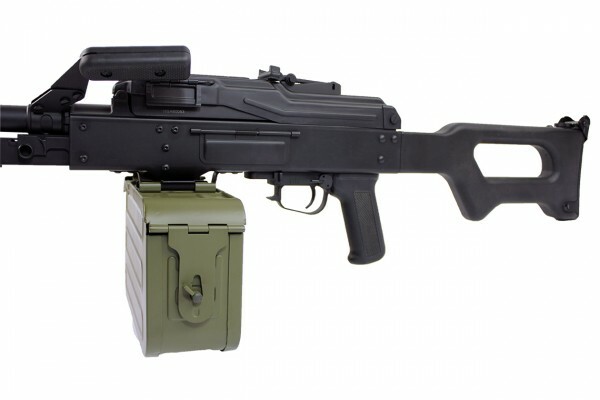 The bolt chamber, the chamber cover, the bipod, the carrying handle and the box magazine were made of steel, while as the rest of the elements, such as the outer barrel, the base of the front iron aiming sight, the gas node, the gas pipe, the barrel assembly, the iron aiming sights were on the other hand made of a homogenous alloy of zinc and aluminum. The pistol grip and the stock were made of a polymer plastic material. The replica is equipped with the MOSFET system which is hidden inside the gas pipe and it is also equipped with a potentiometer which regulates the replica’s rate of fire. 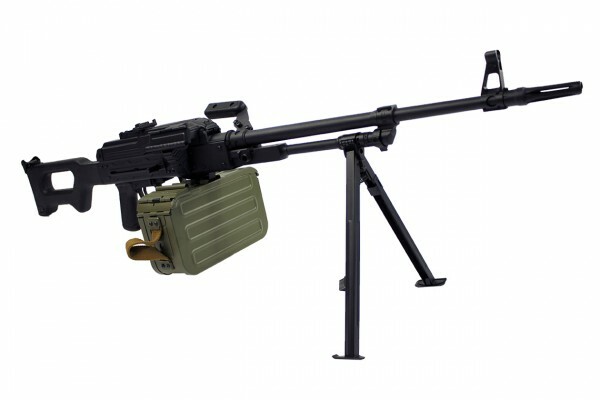 The replica’s inner mechanism is a checked construction – the gearbox’s case is, inter alia, known from the M249 type machinegun, it is equipped with 8mm steel ball bearings. 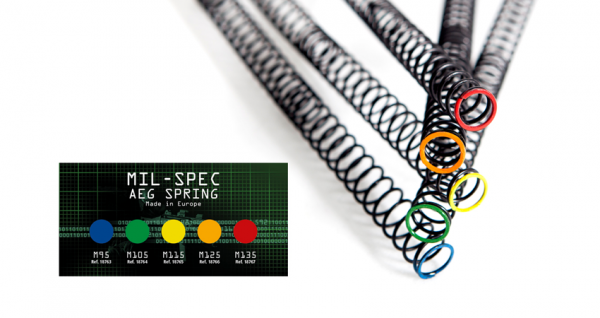 The main spring is placed on a reinforced main spring guide which is equipped with bearings. The replica is a real opportunity for every fan of the Russian technological thought and for all those who re-enact the Polish Military. It will also be a perfect complementation for your team ensuring a good and reliable support for the rest of the team.